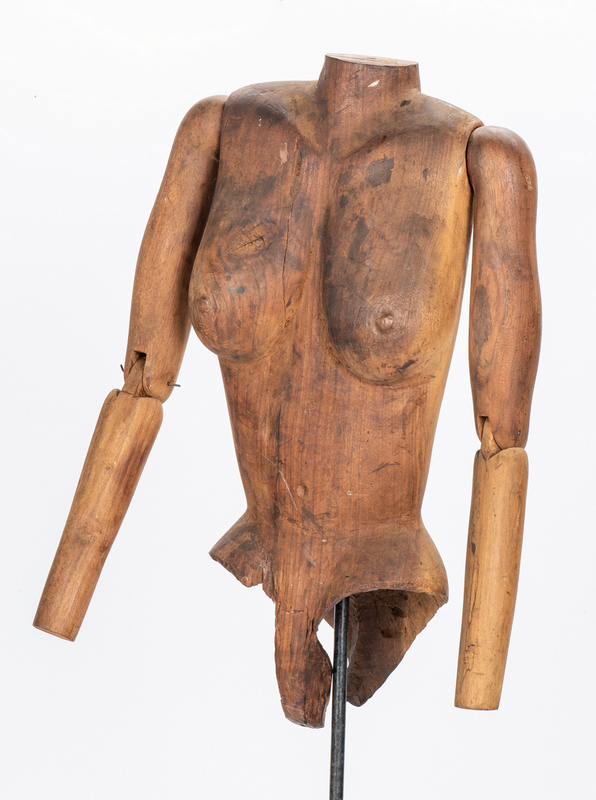 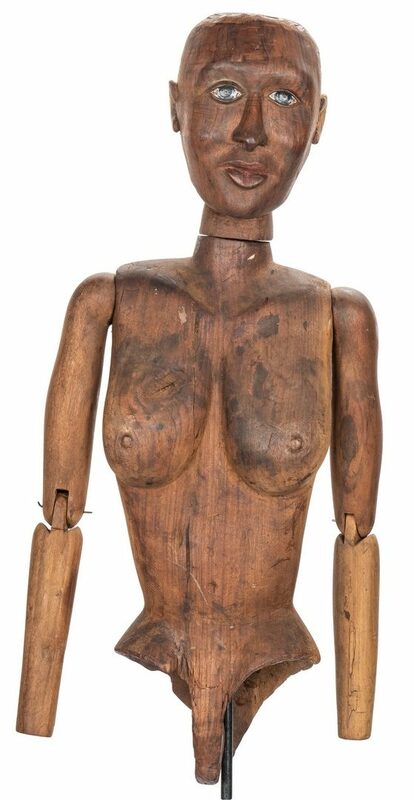 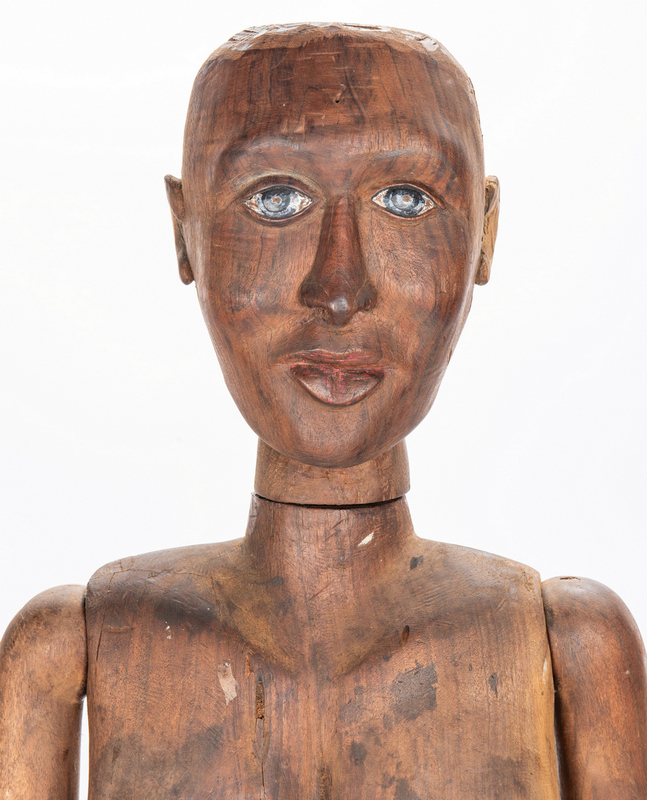 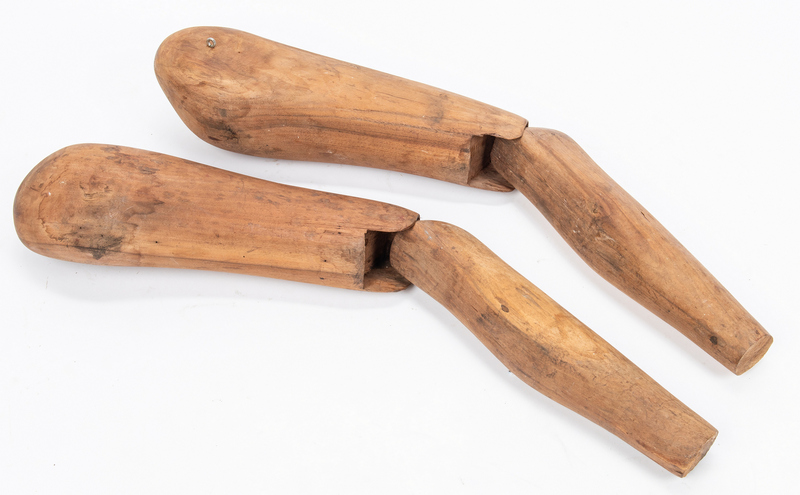 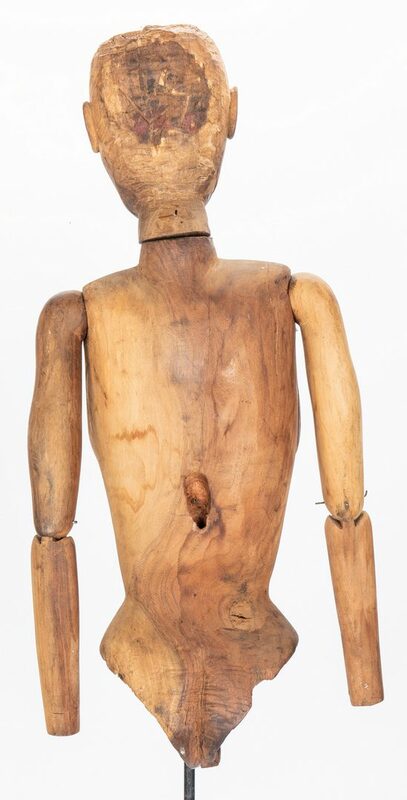 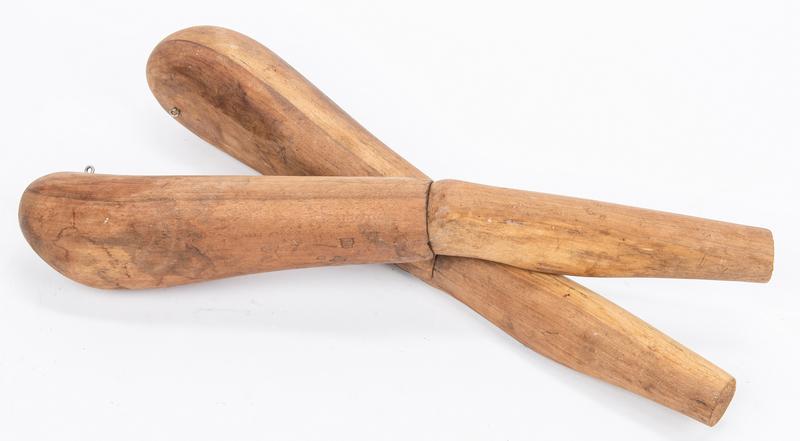 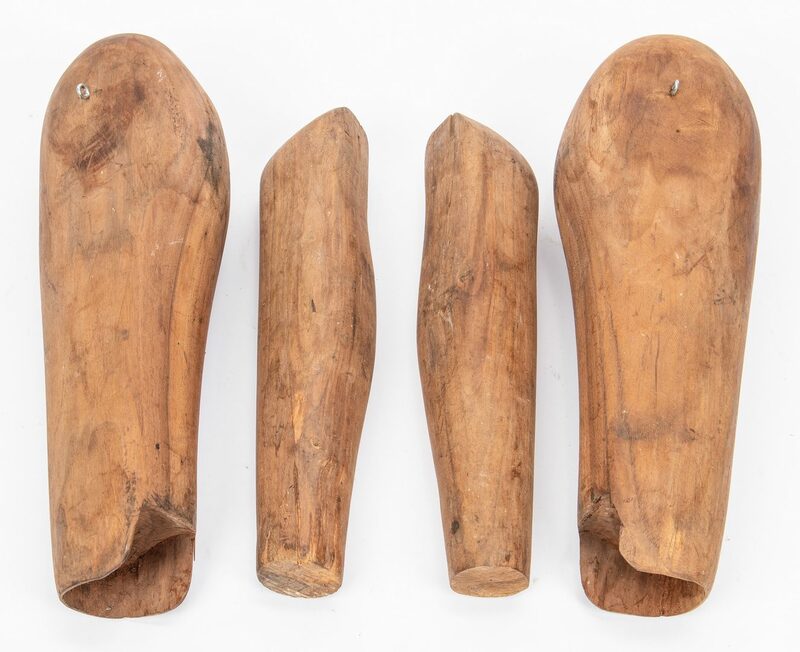 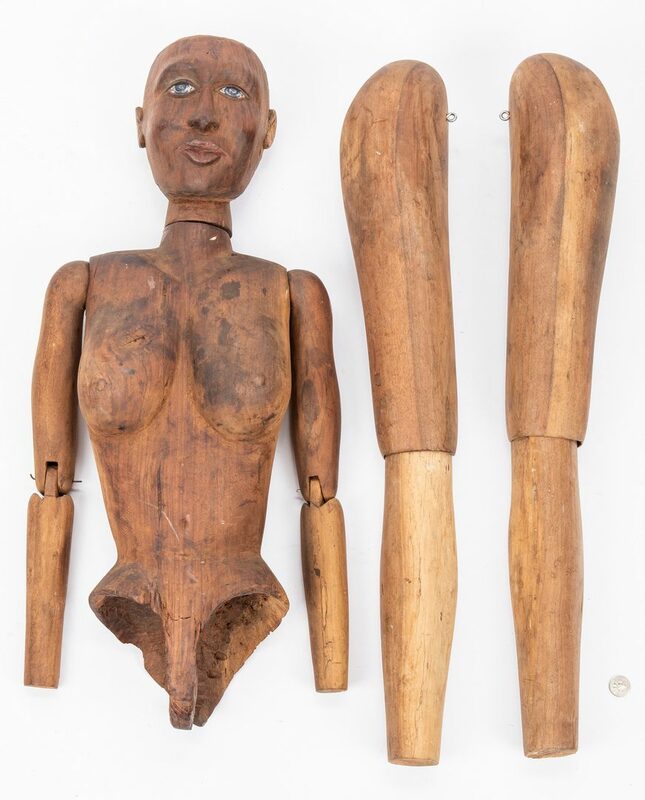 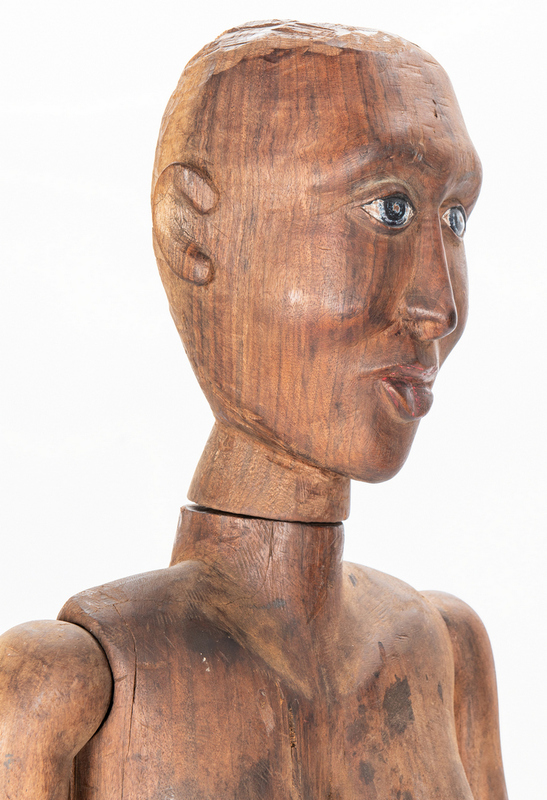 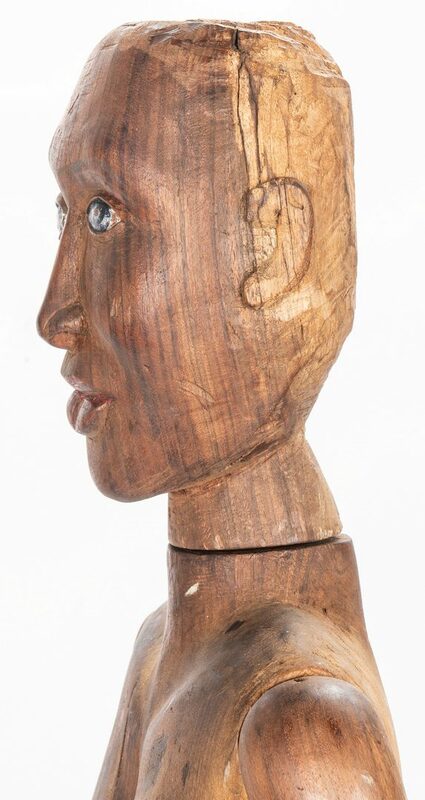 19th century folk art wood artist lay figure or mannequin, modeled as a female with hand painted facial features, articulated head, arms and legs. 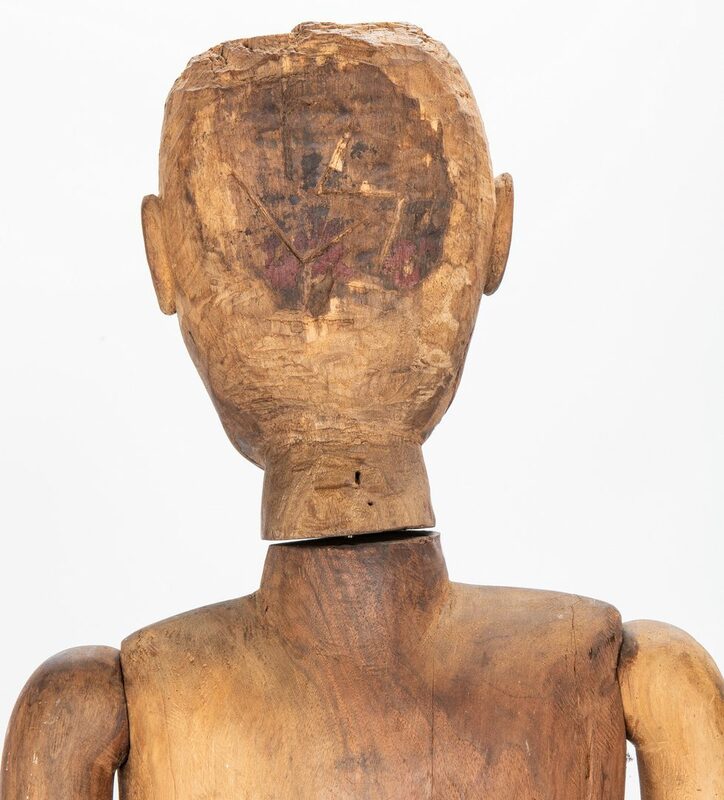 Incised initials on back of head reading "L. S.". 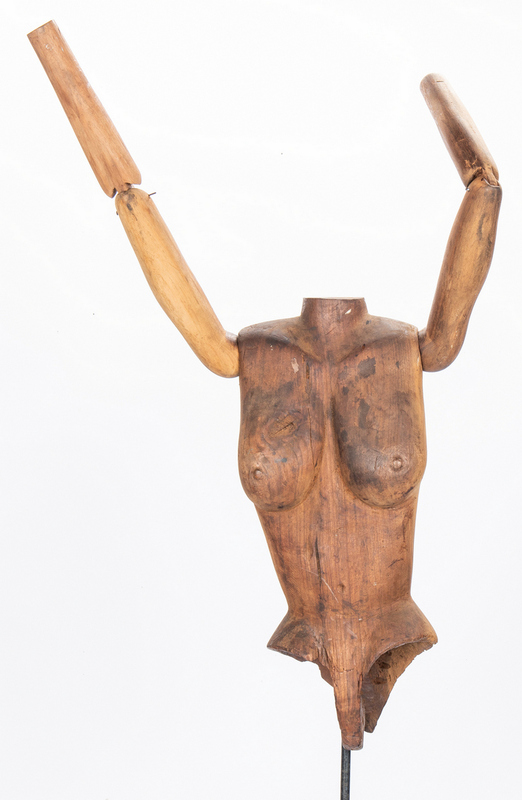 Wrought iron stand included. 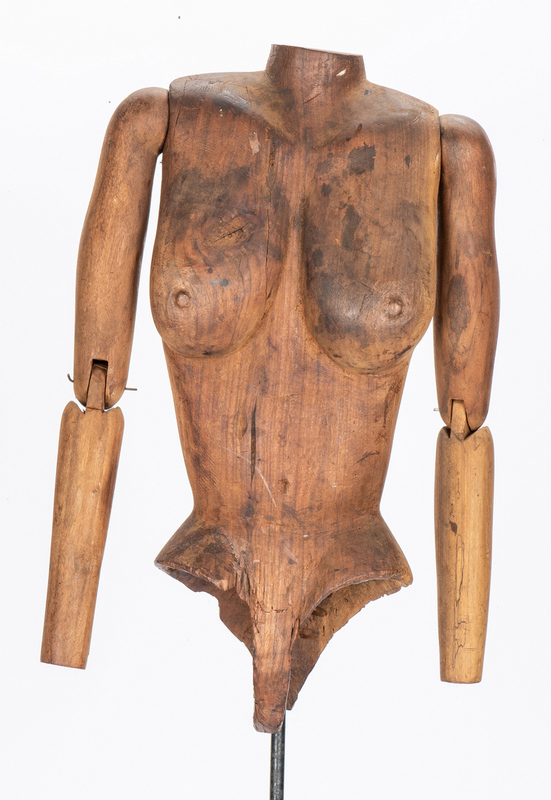 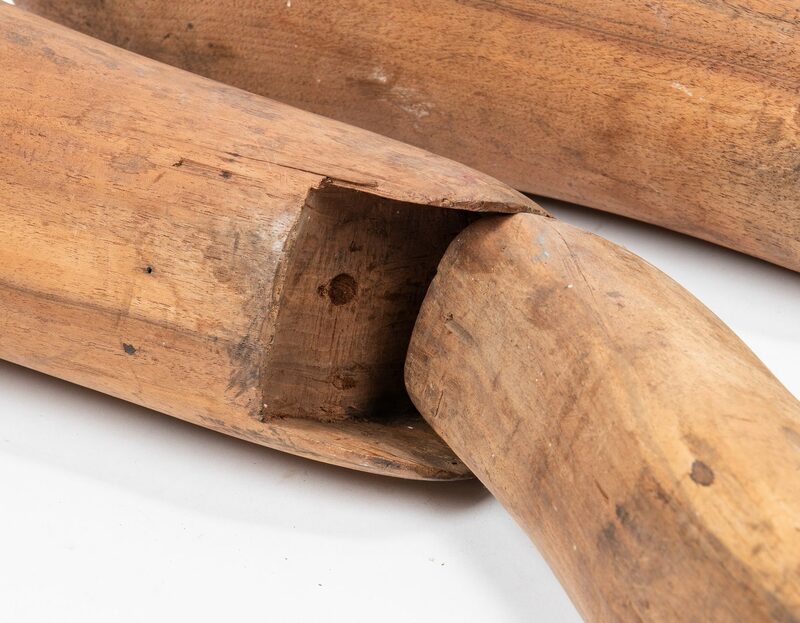 Torso – 31 3/4" H x 13" W x 6" D. Legs – 31 3/4" L. 63 1/2" total H. Provenance: Brad Swanson Collection, Abingdon, VA. 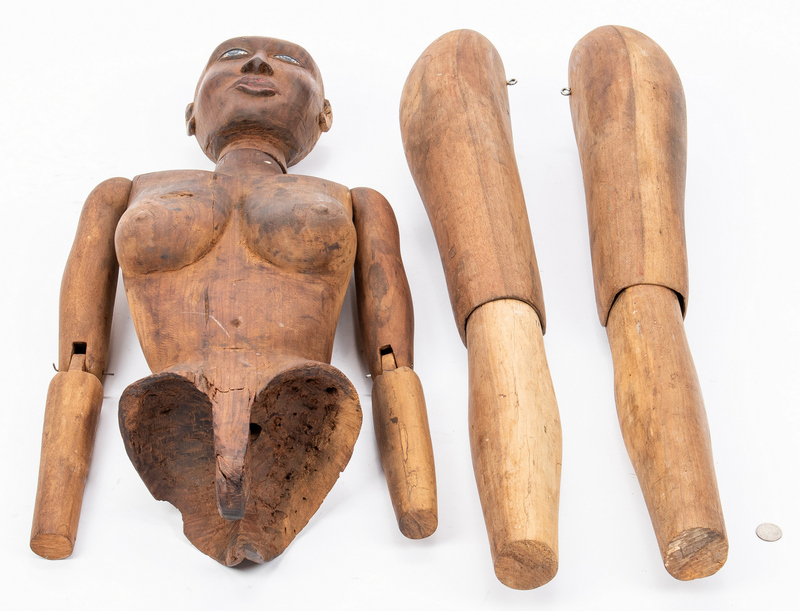 CONDITION: Figure is missing hands and feet, possibly never fitted for them. Legs currently not attached and no evidence that they were permanently attached, legs fit into the lower torso. Figure articulates at the arm and leg joints. 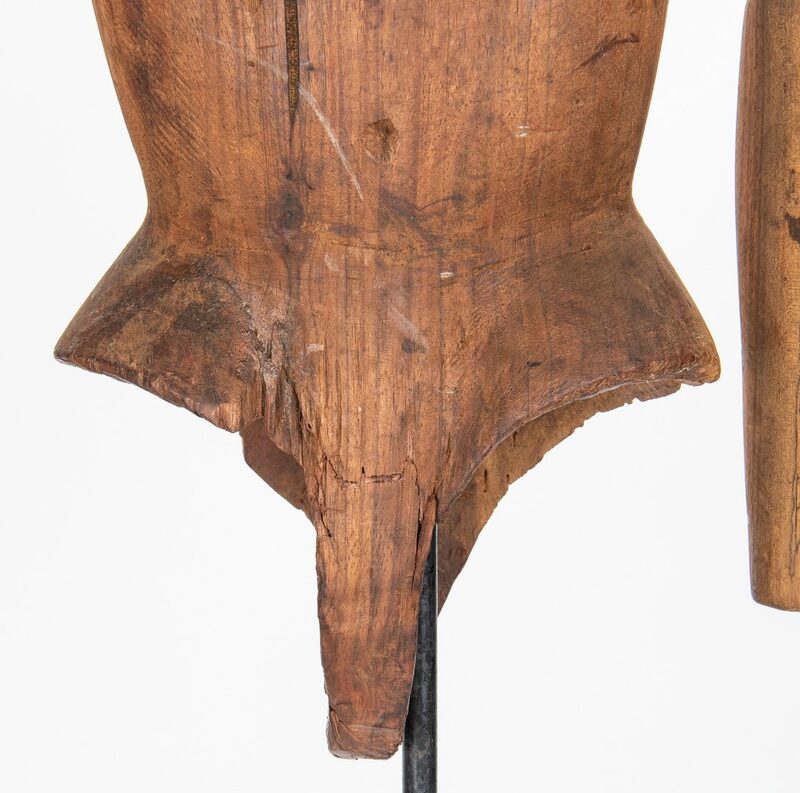 Old repaired break to lower front torso. 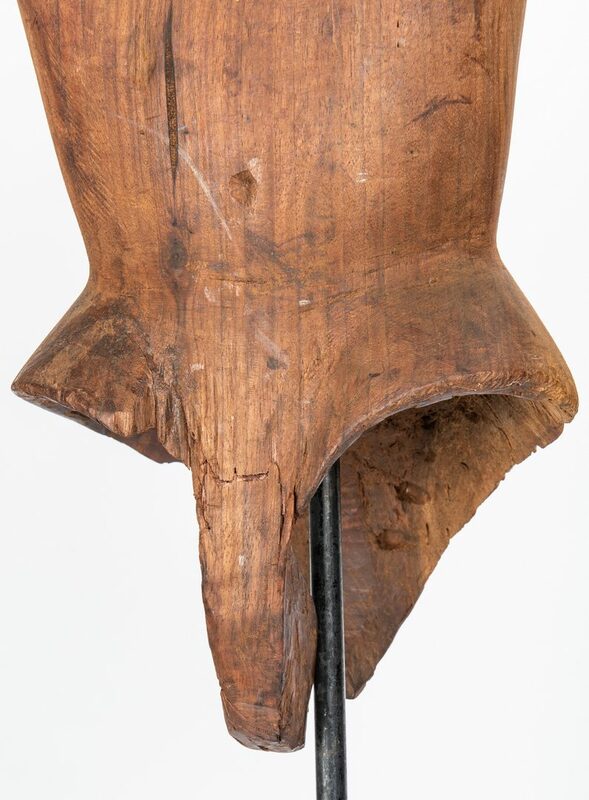 Back of head with wear, not fully finished. 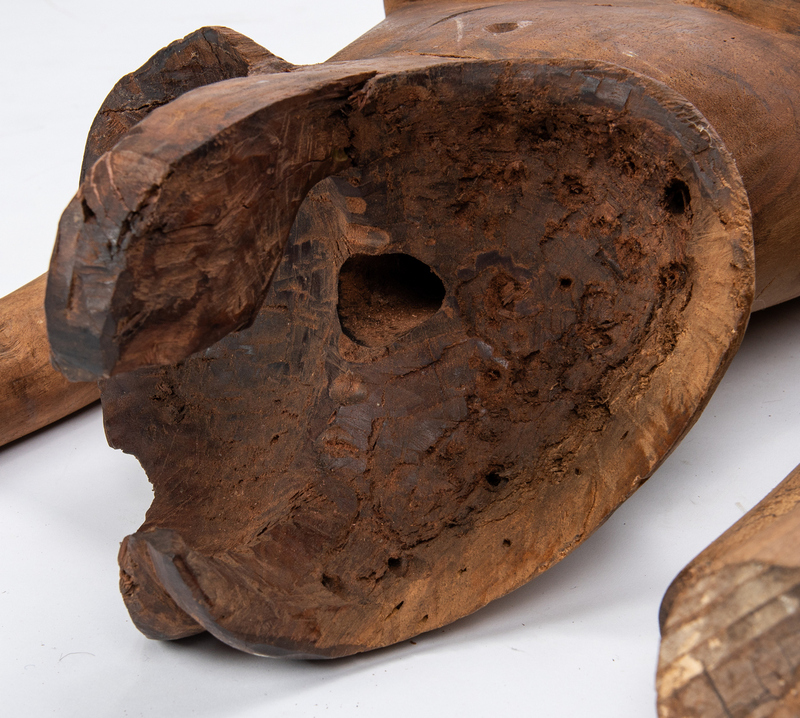 General wear and abrasions to torso. 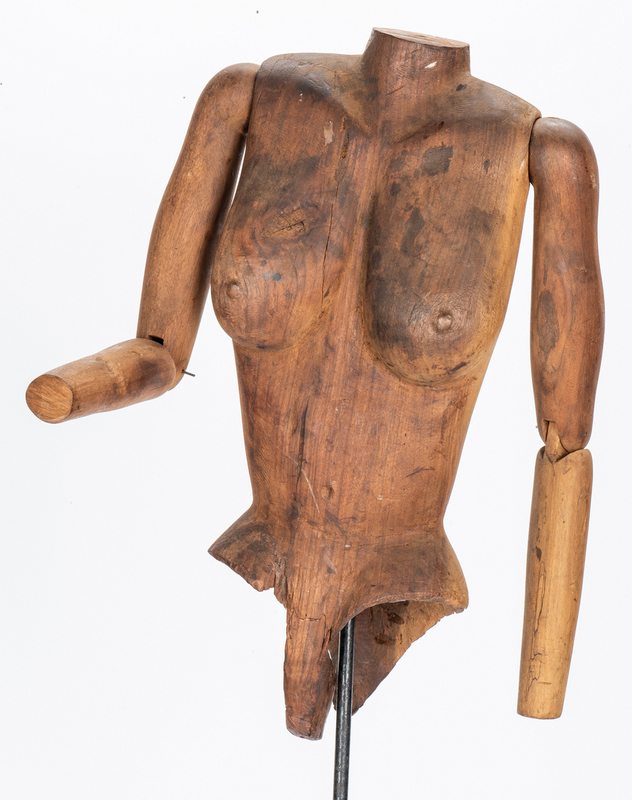 Inconsistencies in patina to wood.